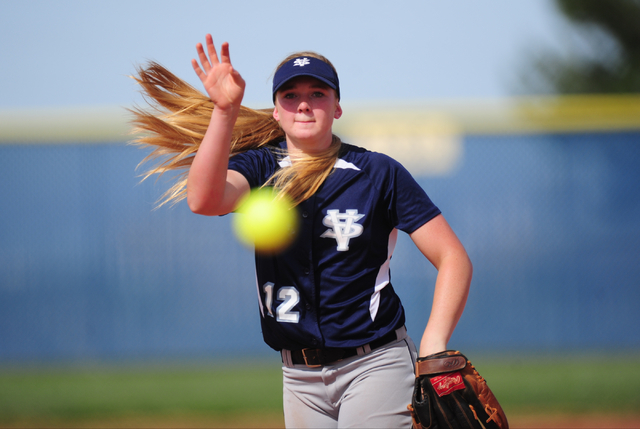 Michaela Hood tossed a one-hitter and went 3-for-4 with four RBIs as Spring Valley secured the first league title in the program’s history with a 6-1 win at Sierra Vista. 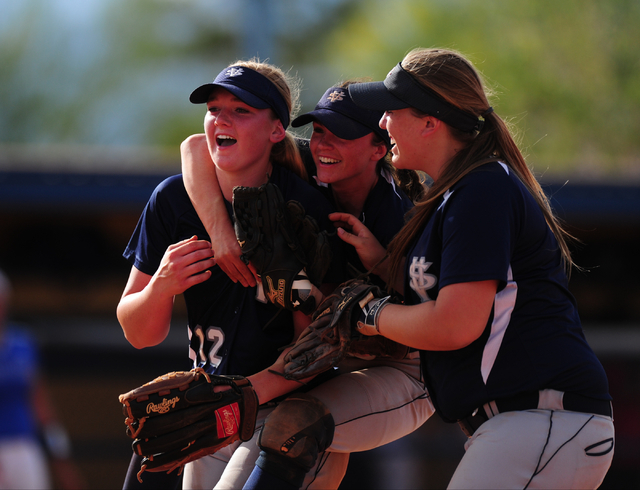 Spring Valley’s softball team gathered near first base for a team photo minutes after defeating Sierra Vista and clinching the Division I-A Sunset League title Wednesday. The way they played, it may not be the only time this month they’ll be smiling and raising their index fingers in the air. 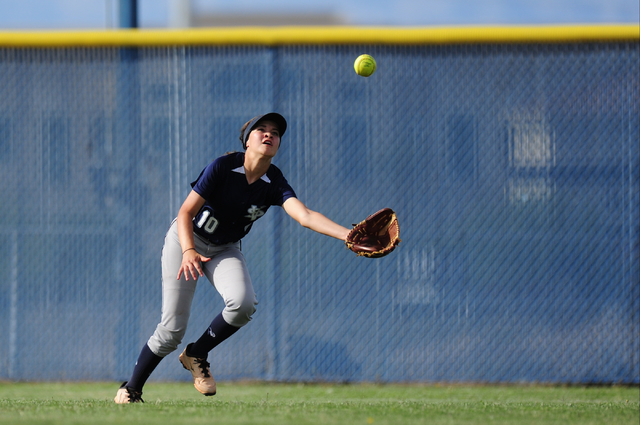 Michaela Hood tossed a one-hitter and went 3-for-4 with four RBIs as the Grizzlies secured the first league title in the program’s history with a 6-1 win at Sierra Vista. 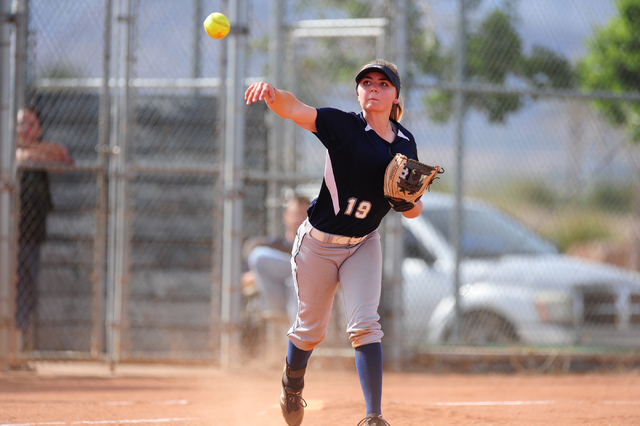 Spring Valley (20-3, 13-1) will be the Sunset League’s No. 1 seed for the Southern Region tournament, which starts Tuesday. 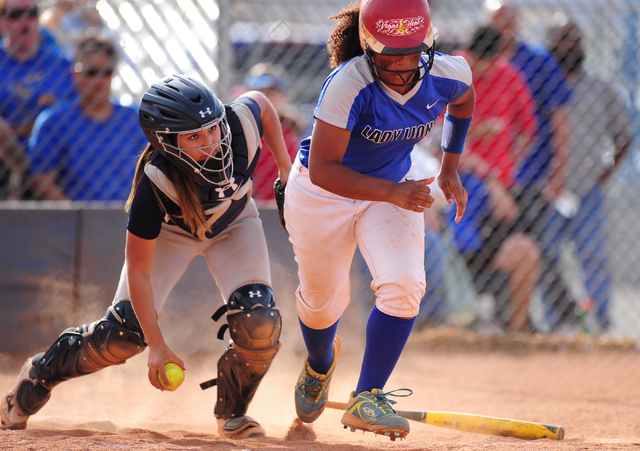 The top two teams in the region tournament advance to the state tournament in Reno. Hood got all the support she needed early in the game. 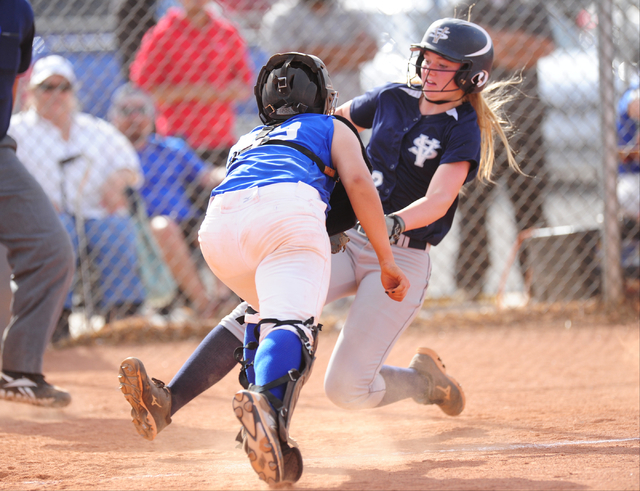 Spring Valley, which beat the Mountain Lions 1-0 in the teams’ first meeting, scored a run in the top of the first inning on an RBI single by Hood and tacked on four unearned runs in the top of the third to take a 5-0 lead. 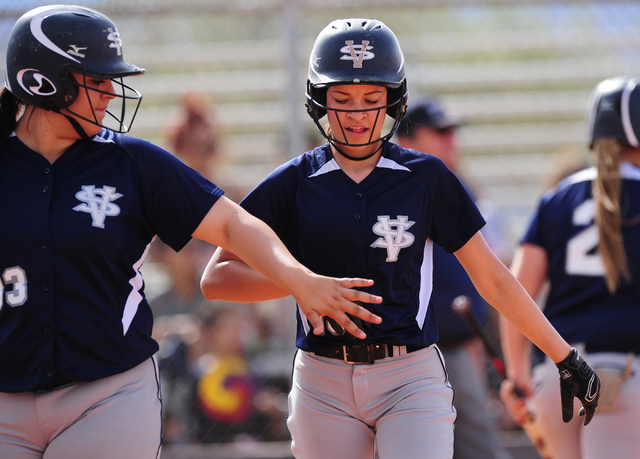 Two Grizzlies reached on errors before Hood had a two-run double and scored on Stephanie Huff’s single. Vivian Quiroz-Montano tripled home Huff to make it 5-0. 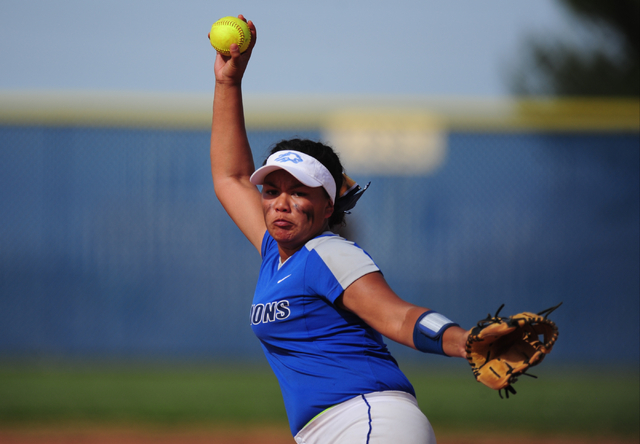 Hood, who no-hit the Mountain Lions on April 12, had another no-hitter going through six innings.Opposing pitcher Kalei Watkins broke it up with a leadoff double over the head of Spring Valley left fielder Teegan Teal to start the bottom of the seventh. 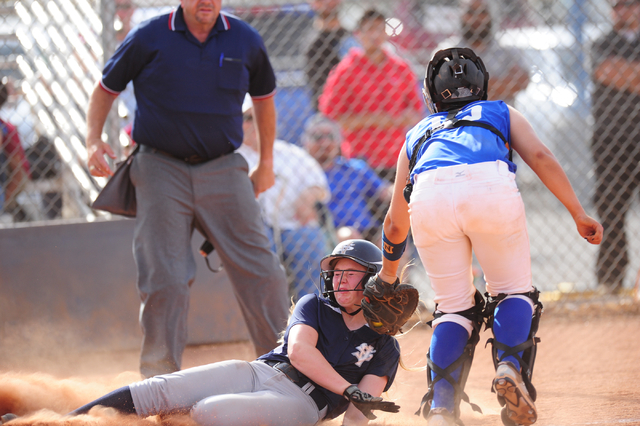 Watkins scored on a throwing error with two outs in the inning to ruin the shutout bid. 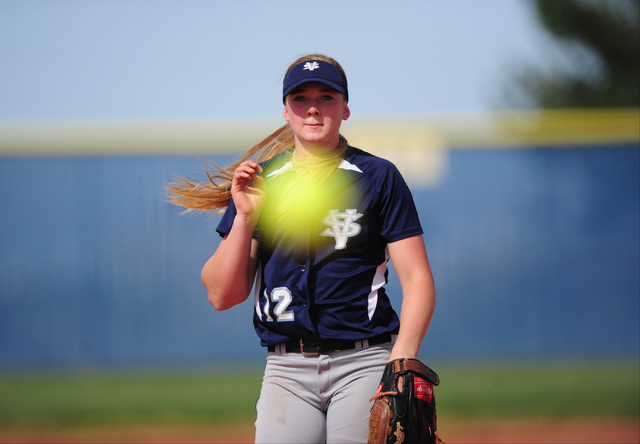 Hood finished with 11 strikeouts and one walk. Sierra Vista (20-5, 11-3) is the Sunset’s No. 3 seed and will open the Southern Region tournament at Moapa Valley on Tuesday.